LD camp was always a fun and exciting experience many of scout enjoyed looking forward to attending. 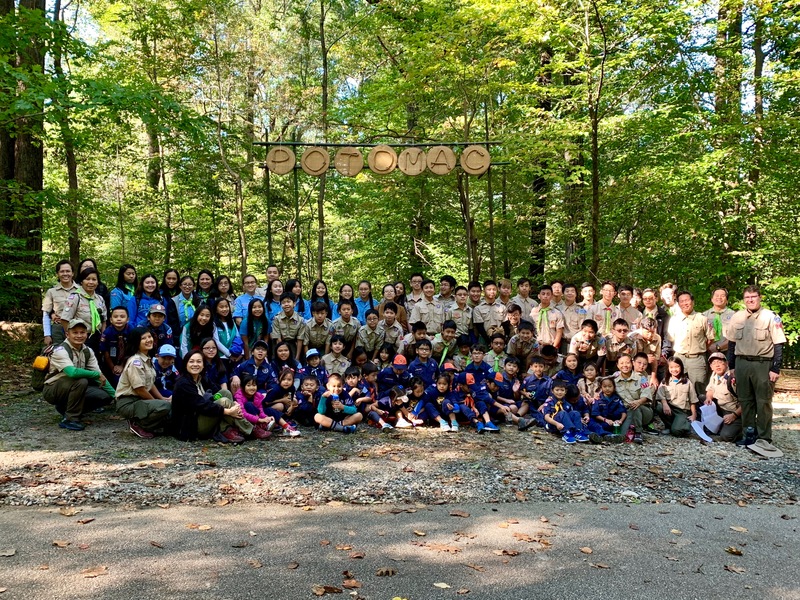 The camp was at Patapsco Valley State Park, LD Potomac camping participants are delighted with the classic fun activities of icebreakers, big games, potluck dinner, and the amusement of the campfire, however this camp did not have an AOL ceremony. We started the game with an ice breaker. The challenge is to put an Oreo cookie on your eye and try to movie the cookie into your mouth without using your hands. Surprisingly, it is harder than it looks. The theme of the camp was to build skill, teamwork, and leadership. The big games were the best ones yet, the games included building barbed wire, team building exercises, lashing flags, and of course water balloons! Staff had done a swell job making the games fun and educational with Vietnamese history. The cub scouts also had a ‘blast’ shooting off water rockets. Scouts personalized their water bottle rockets with fins and cones. With the help of adults, they prime their launcher then pulled the string. The launcher gave off a satisfying BOOM and off went the rockets. The fun didn’t stopped at rockets. After the big games, the cubs spent time at their campsite making lanterns or lồng đèn out of paper plates. Displaying lồng đèn is a tradition in Vietnam during the mid-autumn festival, or Tết Trung Thu. The lanterns were very pretty at campfire. Dinner was an excitement as all patrols cooked something and shared with the rest of the scouts. Sunday morning started with Interfaith and a knots and lashing relay. The relays encourage teamwork and is good practice for younger scouts. Afterwards, we had closing and broke down camp.